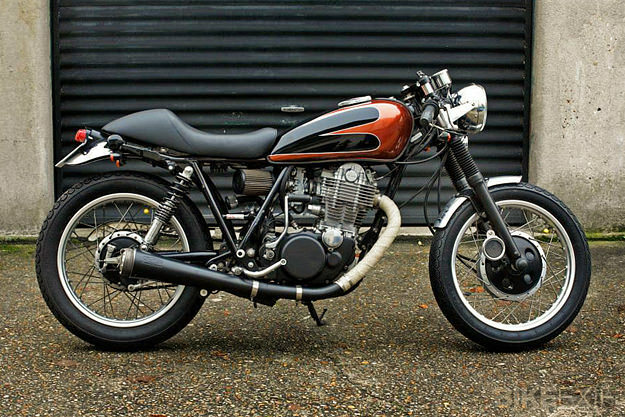 Everyone loves a thumper—and few thumpers are as loved as Yamaha’s popular SR500. Manufactured for just over 20 years, from 1978 to 1999, it shared the same single-cylinder, air-cooled 499cc engine as the XT500 and TT500. 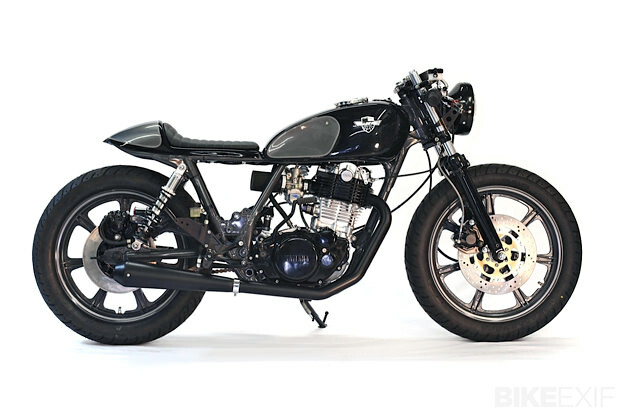 Looks-wise it was styled to resemble its big brother, the XS650. 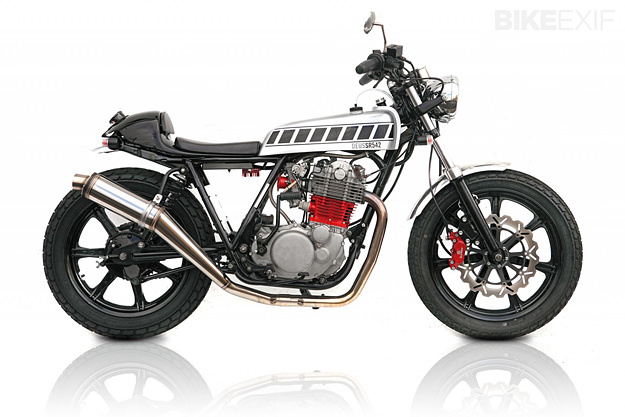 While the popularity of some motorcycles has risen and fallen, the SR has remained a regular favorite within the new-wave custom scene, thanks to its easy-going nature. It sounds clichéd to say that it was tough to pick out just five SRs for our list, but it’s true. Just this week two more great examples landed in our inbox, both of which could easily have been included. Instead, we’ve decided to give each on its own feature, so look out for those in the next week or so. 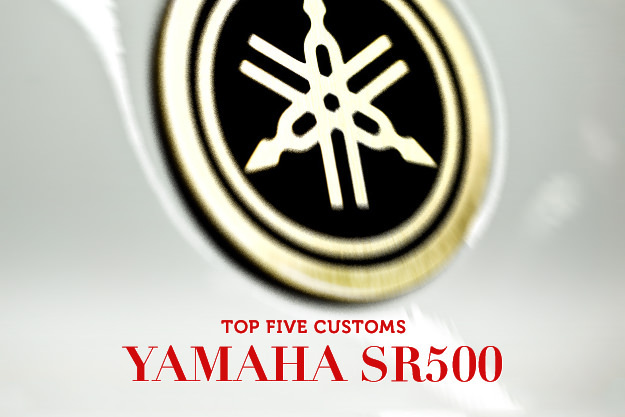 In the meantime, take a look at our top five below—and let us know in the comments what your own favorite SR500 customs are. Wrenchmonkees ‘Monkee #10’ This might not be the Wrenchmonkees’ most well-known build, but it’s certainly a fine example of their characteristic style. 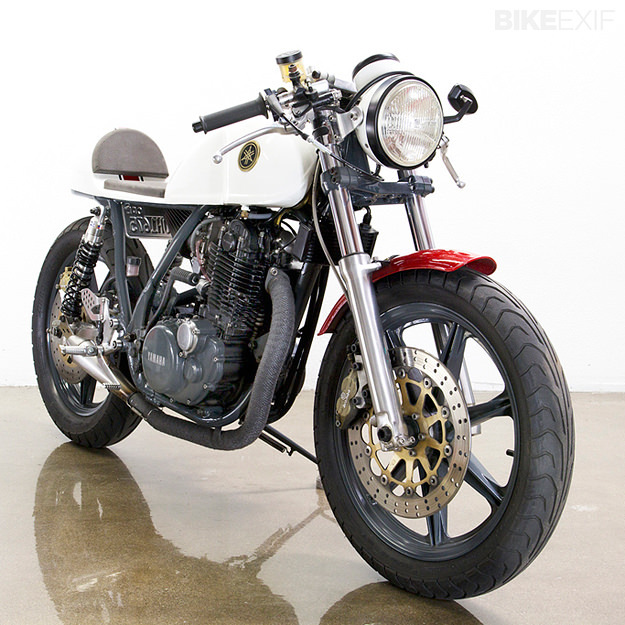 The donor bike is a ’78 SR500, and it was ‘Monkee’fied’ back in 2009. The engine was rebuilt, with power boosted by a Mikuni flatslide carb and K&N filter. A Brembo disc and caliper were fitted to the front for extra stopping power, along with a braided steel brake hose. All unnecessary bodywork has been removed, and a custom rear loop and seat added. 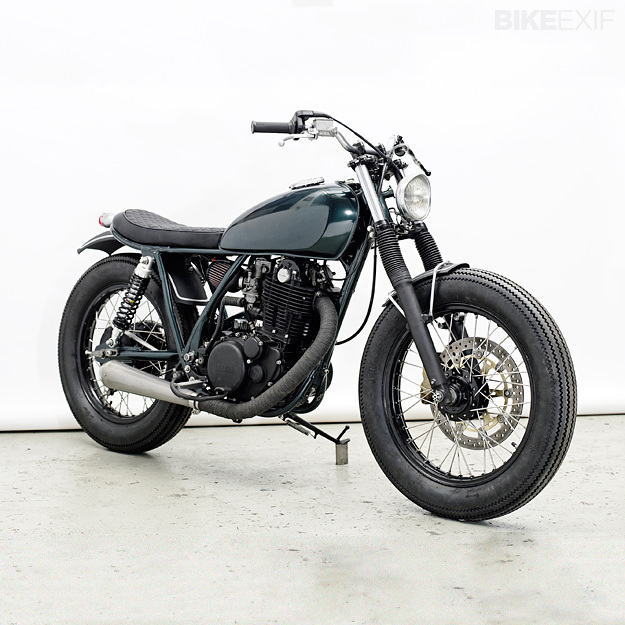 Colors are understated, as per the norm for the Wrenchmonkees—a muted green tank, and matte black fenders with a subtle pinstripe. Last week’s Top 5 covered the BMW R-Series.